A website is a collection of Web pages, images, videos or other digital assets that is hosted on one or several Web server(s), usually accessible via the Internet, cell phone or a LAN. The definition of web page is a document, typically written in HTML, which is almost always accessible via HTTP, a protocol that transfers information from the Web server to display in the user's Web browser. 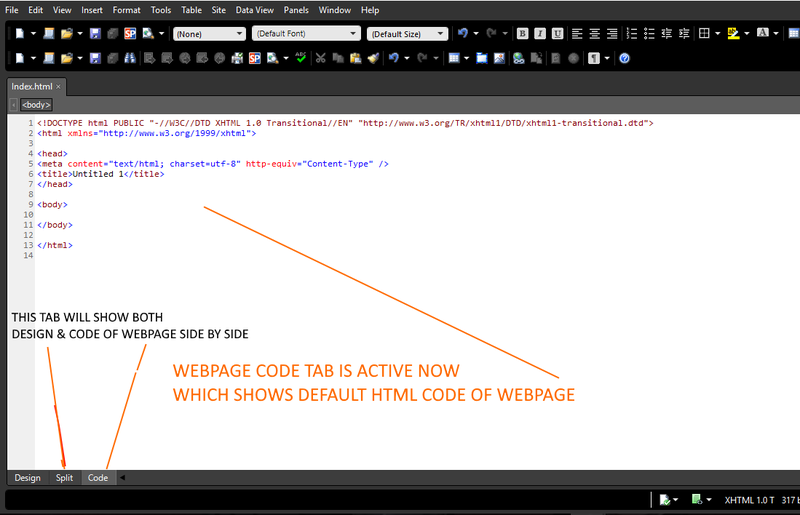 Don't be confused.In some cases your page extension will be .aspx, .php.... but if you will open these pages ,they will also contact html markup code. Every business needs a web site, that much is known. Billions are spent online every year and a website is way cheaper than other forms of traditional advertising. This tutorial explains how it all works and how you can maximize your investment. Getting a website can be very confusing. There are lots of different things involved, and lots of acronyms. Even if you don’t decide to work with us on your website, there is lots of useful information here that may well make your life easier. This is an article explains "How to Buy , Create & Launch your first Business/Personal website" in plain English for regular User , Junior web developer or business man . The browser connects to the server through an IP Address; the IP address is obtained by translating the domain name. Finally your business for which you want to create website. Why you want to create website for your business? What type of business you have ? Is it Local Business or International business? Do you want to sell your business items/products via your website (online) or you want website just for the sake of publicity & showcasing your business to people on internet? b) people can see all information about my business on internet. c) they can contact me anytime. if they need or want to buy anything from my products listed on my website. Answer to Question 2: Anything from small need to bigger one. i mean anything what we sell on our shots/stores.. When moving your business/shop to internet , you can create static website or dynamic website. So, what each type of website is used for is explained below. This type of website is just a simple website or multiple webpages which displays information about your business. 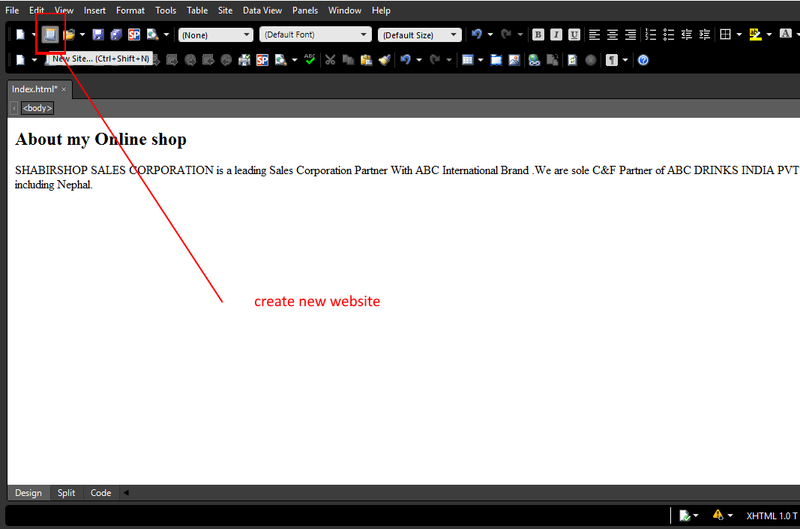 Assume,you created your static website,Users or web visitors can just go to internet & type in www.shabirshop.com . this will open your site in browser which will describe or provide overview about your business but can't buy anything online from your website. Simple,it is just website with plain information about your business,like what products you sell , how many branches you have,what discount you give....In case of static website , you don't have option of interacting with the website owner /business owner via website except contact us page which is used to send email to website owner. & who know whether owner checks his email regularly? This type of website is dynamic in nature like you can provide information about your business,products .. plus option of buying selling with in website like amazon,E-bay,overstock..We can chat with user once he visits your website. Visitor can also send request and get back responses from website/business owner via website.Now,decision is yours but important point here is cost of website development . When it comes to development cost ,static websites cost very less & dynamic websites obviously costs 5 times more than static website some time more.. So, Let we consider both cases step by step. As a business man, let you decided to go for Static website first because both site (static and dynamic website) have all steps common except development step, which is obviously bit time consuming for dynamic website. LET WE PICK FIRST CASE AS STATIC WEBSITE: I have business shop where i sell lots of products ,It can be anything . let me assume groceries shop where i sell all types of eatables & you know that your shop provides good discount , huge variety, quality... for the consumer. Now for setting up your website online, i mean on internet you need to fallow below steps. There are lots of domain types available like .com,in,edu,org... .the extension itself speaks what they are meant for like, .edu is for education,.org is for organization like wise you know you have commercial business so, you will choose .com(commercial) extension for your website. BEST OPTION? Avoid the weird extensions and go with .com, .net or .org unless they perfectly describe what you have to offer – and even then, see if you can find a more common name.while .com, .org and .net are commonly used and easily remembered, the domain extension craze hasn’t really gone mainstream yet – so people may not find you if you use a really different domain extension. There are thousands of service providers but some known Service Provider from whom you can buy domain is google,godaddy,bigrock,hostgear... Now, Let me assume you are buying domain from BIG-ROCK OR GODADDY not necessary . you can choose any service provider you like .Here for the simplicity & availability sake ,i will prefer to choose godaddy. Let us start ..
BUYING FROM ANY HOSTING SERVICE PROVIDES YOU SAME PATTERN(WAY) OF BUYING DOMAIN & HOSTING SERVICE. ONLY DIFFERENCE IS THAT SCREENS WILL CHANGE FROM ONE HOSTING SERVICE TO OTHER. THEY ARE FUNCTIONALLY SAME. COST MAY VARY BIT. 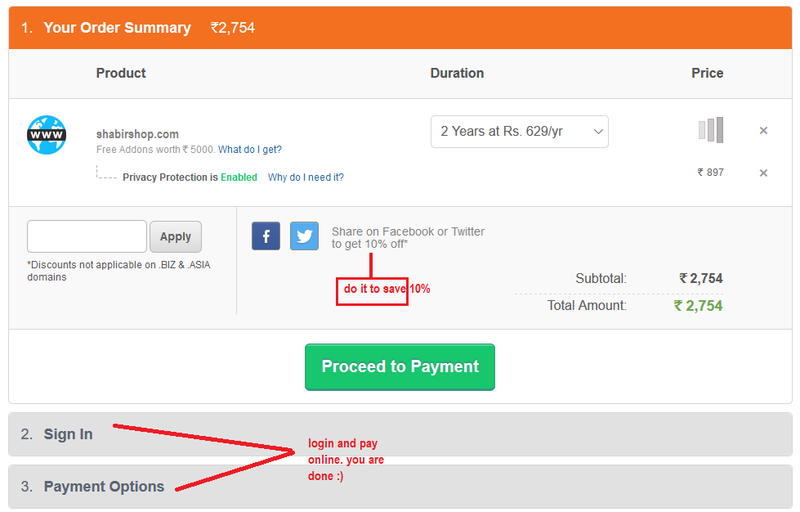 YOU CAN CLICK ON ' GET IT NOW' BUTTON & PAY THE AMOUNT ONLINE. Assume you are done with purchasing domain. In real time ,domain name alone is not going to help you to make your website online. I Agree, domain name is yours but you can't do anything with it except claiming that it is yours :) so, better buy some hosting space ( space on server where you will keep your website information like images, documents...) also. Let us continue with buying web hosting also because we have decided to make our business online. 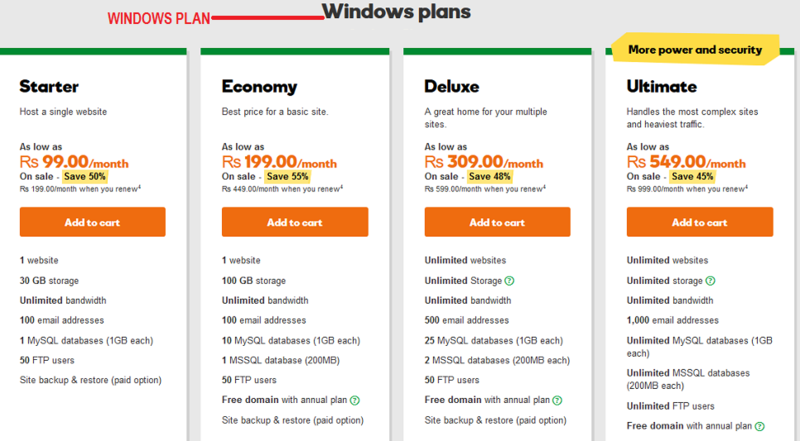 In case,if you don't have budget to buy web hosting now,you can just book domain name only to keep it safe before someone else takes. I mean web hosting we can buy later also once our website is ready. Tips for choosing my domain name? There’s one rule that always applies to domain names: If you like it, go for it. SHARED HOSTING. This is where you share a web server with other websites. Actually web-server on which we host website can host multiple websites so it would be like occupying a small shop within the whole shopping complex area. VIRTUAL SERVER or VPS HOSTING. 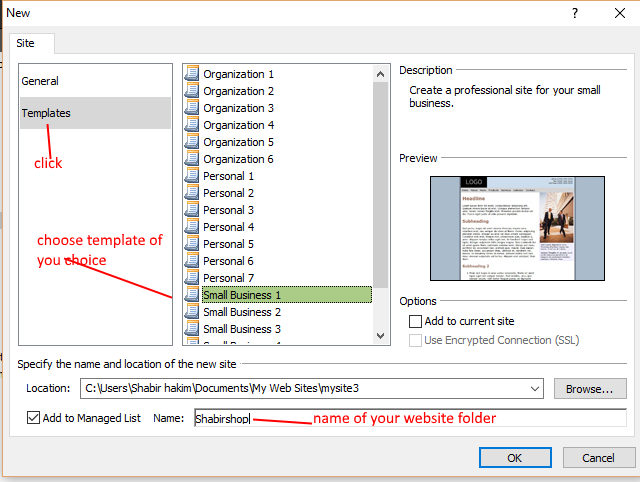 VPSes are similar to shared hosting, but you have more space and resources. it would be like owning an entire floor within whole shoping complex area. DEDICATED SERVER HOSTING . With a dedicated server, the website takes up 100% of the web server. it would be as if they owned the whole shoping complex area. For most of us, a shared hosting plan would be more than enough. Even this website is hosted on a shared hosting plan. A good shared hosting plan will cost you about $70 – $200 per year ($6 – $20 per month). 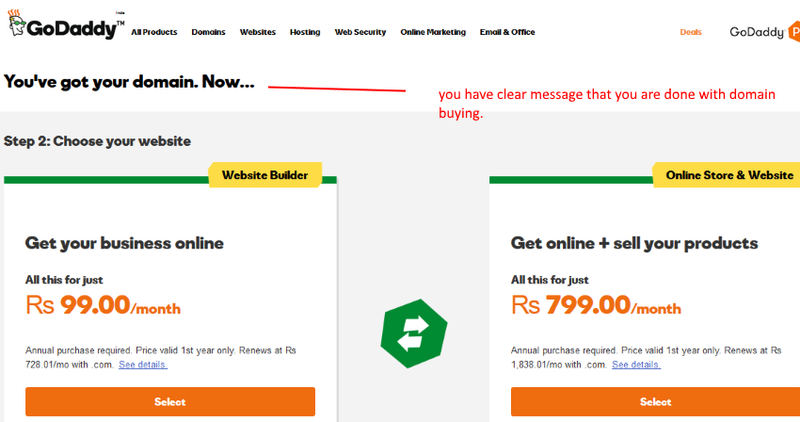 DON'T SELECT ANYTHING AS OF NOW OTHERWISE YOUR DOMAIN & WEBSITE COST WILL GO HIGH. 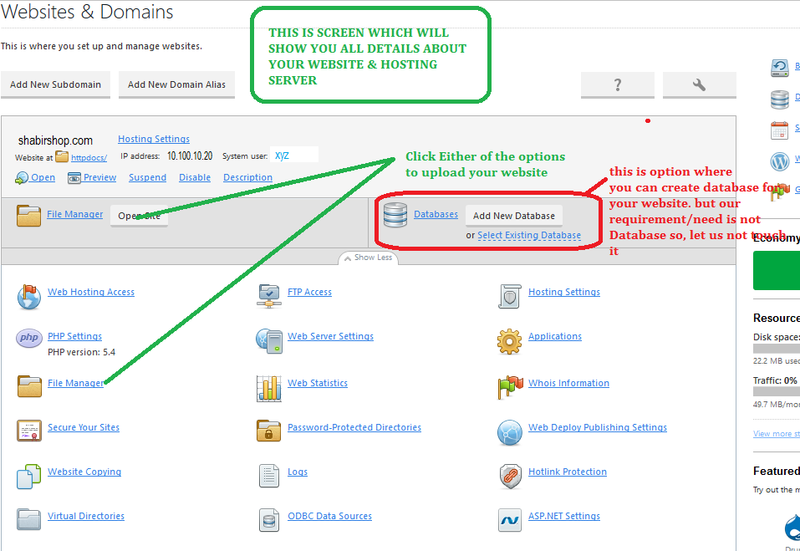 JUST BE SPECIFIC IN BUYING DOMAIN AND HOSTING. WE CAN BUY LATER ALL THESE PACKAGES /TOOLS IF NEEDED. You have bought domain and space/web hosting but as of now your space is empty. 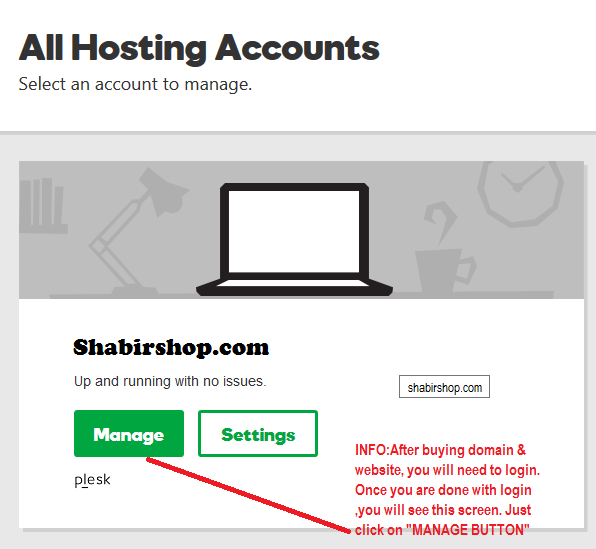 Next, your job is to create website and copy that website into your hosting server which you have bought. 1) Out Source this . I mean give this contract to some web developer/designer . Let me assume you decided to do it by your own. How you are going to start? Remember , you site is just a static website which is going to showcase your business on the internet. Although there are many considerations in web design, as a beginner, your first step is to actually get something out onto the web. The fine-tuning can come after you've figured out how to publish a basic web page. 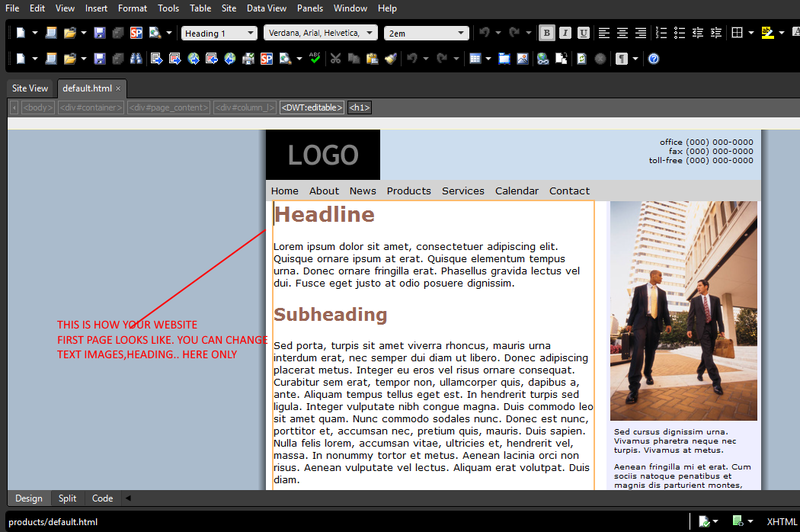 One way is to use a WYSIWYG ("What You See Is What You Get") web editor to do it. 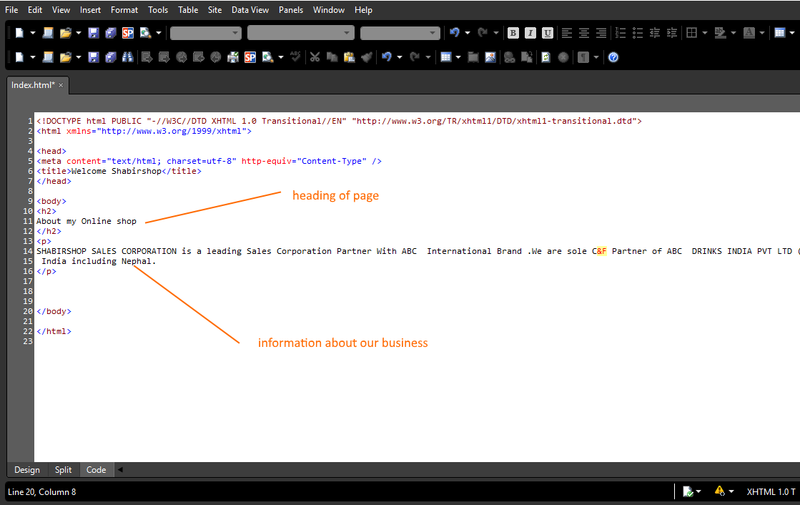 Such editors allow you to design your site visually, without having to muck around with the technical details. They work just like a normal word processor. There are many other web design software around. 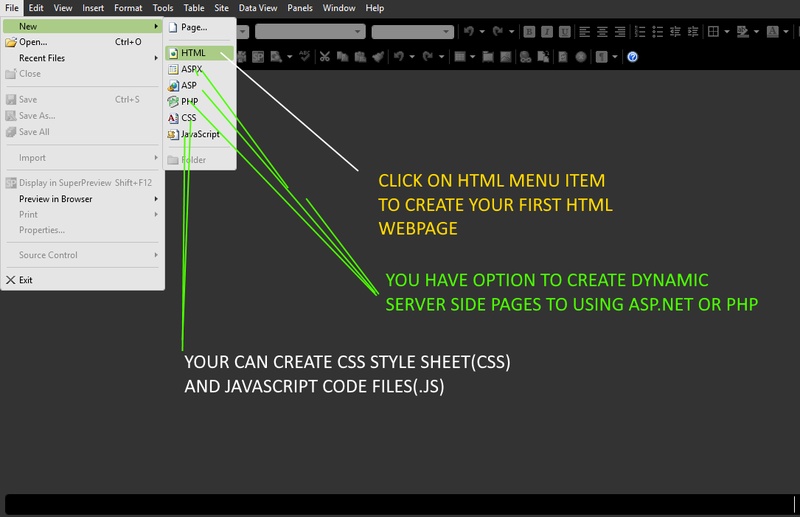 If you prefer not to use either of the above, you can find tutorials for other WYSIWYG web editors here, including one for KompoZer, another free (though somewhat outdated) web editor. And if none of them suits your taste, there are also numerous other programs listed on thefreecountry.com's Free HTML Editors and WYSIWYG Web Editors page. After you have followed my tutorial, and are on the way to designing your website, you might want to read the article Appearance, Usability and Search Engine Visibility in Web Design as well. It takes a brief look at some of the real world issues that every web designer must deal with. There are many other issues regarding the design of web pages. The above will get you started. However, if you have the time after you get something out onto the web, you may want to read my other articles on Web Design and Website Promotion and Search Engine Ranking. 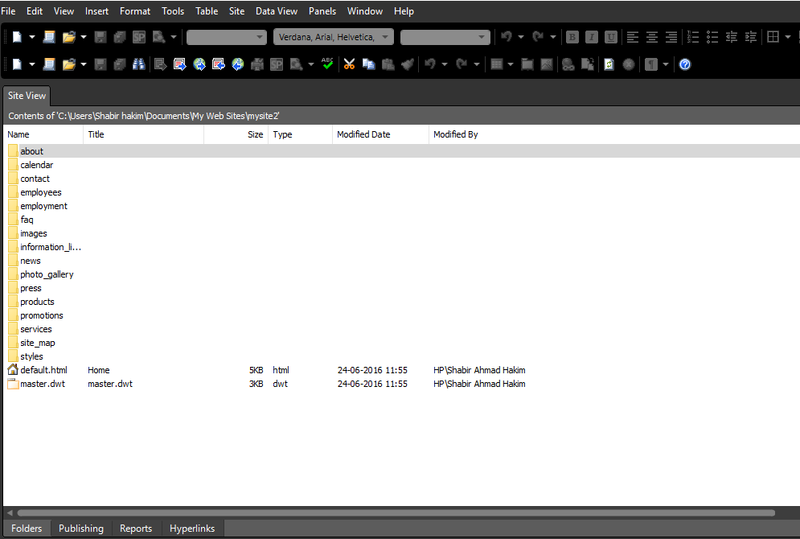 Once selected,it will automatically create all pages of your site . 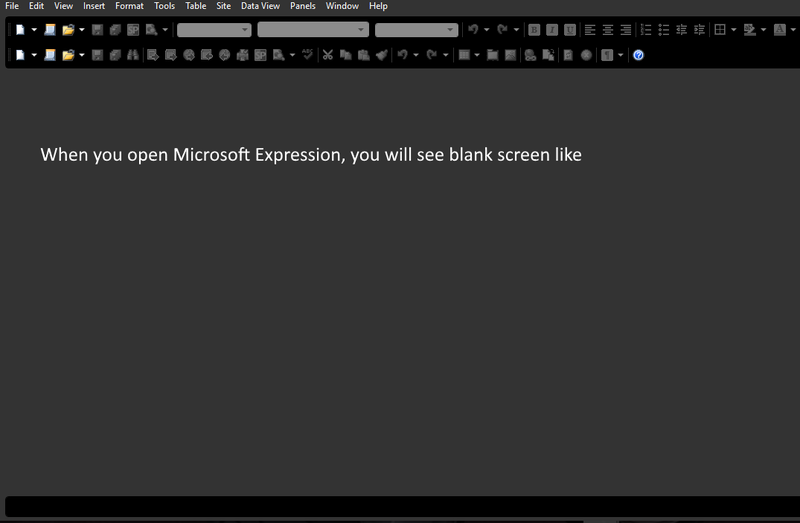 Finally , you can change every page as per your requirement/need like shown above. You will need to test your web pages as you design them in the major browsers: Chrome, Firefox, Safari and Internet Explorer 11. All these browsers can be obtained free of charge, so it should be no hardship to get them. Unfortunately, directly testing your site is the only way you can be really sure that it works the way you want it to on your visitors' machines. And those with access to Windows 10 should also test with Microsoft Edge, the successor to Internet Explorer. In addition, if you have a smartphone, try out your site there too. if you website is visible perfectly in all mobiles,tabs,pc,laptops then you can claim that your website is RESPONSIVE. 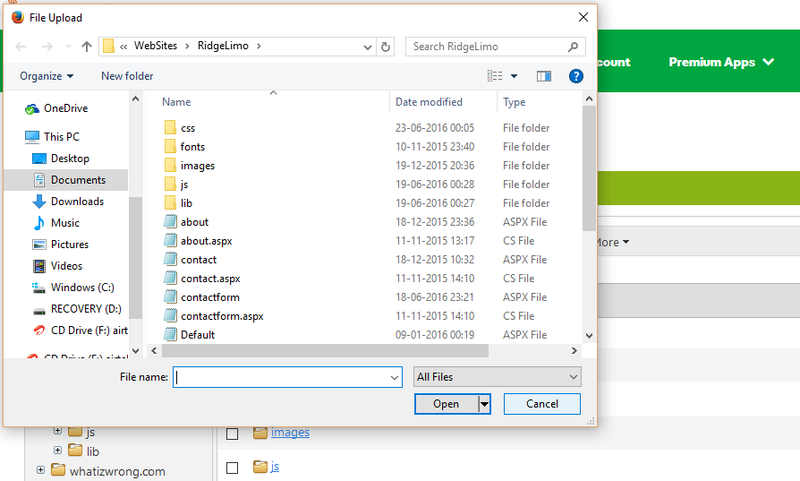 After finishing website design/development your website pages, content,images , you’re now going to put entire folder which contains everything on hosting server. 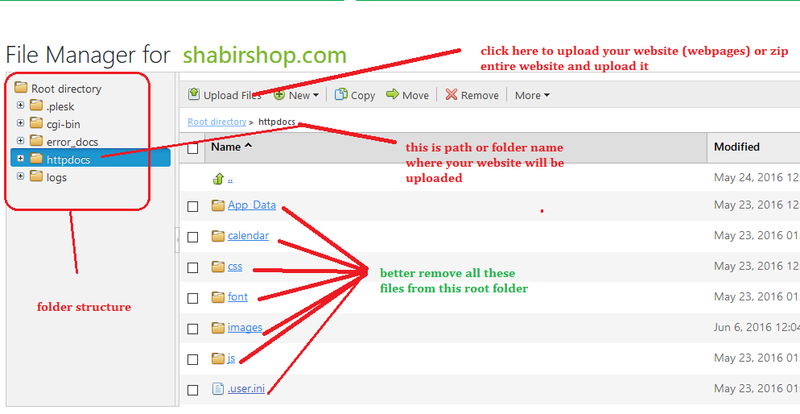 Click on upload & choose your webpages/images to upload from your computer folder. Many businesses still run from a personal email account. You get at least one email address with your domain name and hosting package such as info@mycompany.co.uk, and using this email account comes across as more professional that company532@free_email.com or similar! Congratulations – you’re ready to see you site live! 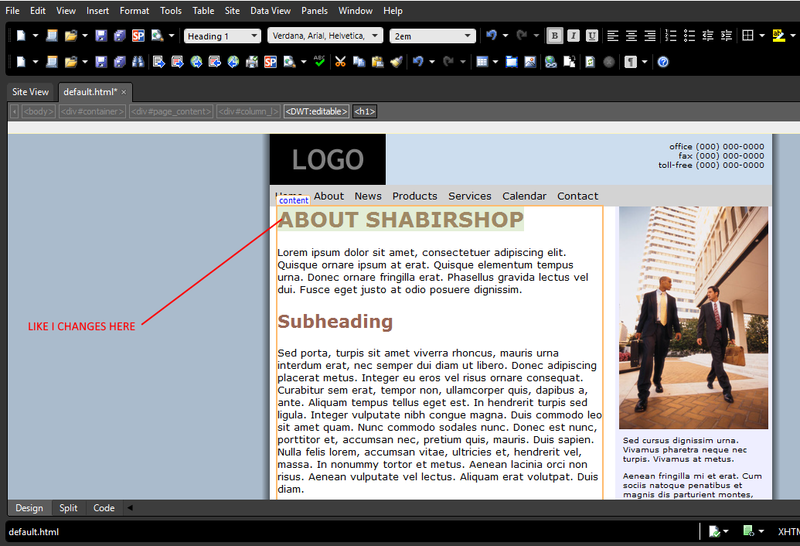 Finally open your favourite browser & type in your website domain name which looks like www.shabirshop.com in my case . I hope you found this guide really useful –but if you have any more questions or need help with one of the steps I highlighted, I’m happy to share some guidance. For this, use my contact/support page. If you find my guides useful, please share my page below. This keeps me motivated to keep all the information on this site up-to-date and accurate.